In 2011, I published the following piece about taking my sons to a Prince concert. I don’t get a lot right in my typical daily parenting, but this is one I nailed. Forcing my kids to see a musician who has meant so very much to me in my sense of the musically possible and the downright moving was one of my better calls. When he died, both my elder sons texted me the news as Prince’s concert and his work had become a shared experience. 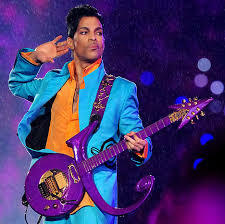 Man, I will miss the Purple One. Long may his music live. Long will his music live. Prince is 53 years old. Most of his big hits charted during the 1980s, a decade my son imagines featured men wearing powdered wigs. Pursuant to the last point, Prince looks kind of like a girl. Male music stars should not put on eyeliner or prance around in high heels. Rather they must show their colors in tattoos and sort-of wear pants (but not around their waists). Prince plays too many types of music to be that good at any one of them. He is one of Dad’s favorite artists and thus must be shunned because, as an adolescent, Benjamin fears identifying with the very human being he is most trying to distinguish himself from. Given my understanding of these points, I should have showed patience with my eldest son. Better yet, I should have been content with the feedback from my nine year old, who cheered when I announced I was taking him to his first genuine rock concert. After all, Jacob is the one who asks me questions about music-star backgrounds, recognizes classic tunes within the first few notes, and joins me in singing Daddy’s favorite songs in the car. (Mild contention) Benjamin: I don’t like Prince’s songs. Me: You’ve listened to a few seconds of two songs. (Medium disagreement) Me: Prince will be remembered long after your foul-mouthed rap stars are gone. Benjamin: I don’t have to like everything you like. And you don’t know anything about rap. Me: Actually, I was listening to rap when it was invented. Benjamin: Rap has gotten so much better since a hundred years ago. (Full-on yelling) Benjamin: I just don’t want to go! I’ll be bored! Me: You have to go! I paid for your ticket! Benjamin: Fine! I will go, but just because I would feel guilty the whole night if I didn’t! At the concert, it was a mixed bag to have Benjamin with us. We got there at 7pm and were upgraded (that night of the tour was not sold out yet) from the upper-deck to a dozen rows from the floor. “These are the best seats we’ve ever sat in,” Benjamin said as he eyed the nearby stage, shaped in Prince’s glyph symbol. After a prolonged lead-in, the Purple One made his dramatic entrance, which had Jacob and me standing in ovation with a crowd of people of all ages. The man behind “1999” and “Kiss,” was then every bit as entertaining as I imagined. His voice soared, his guitar wailed, and his backing musicians rocked. Benjamin refused to stand much during the dancing everyone else engaged in, but I did catch him occasionally looking transfixed by a brilliant musician who transcends time. With the performance starting so late, I had to pull myself — and my energized middle son — away early from a show that went on past 1am. As I drove home with my boys asleep and my ears ringing from “Let’s Go Crazy” and “Housequake,” I wondered if Benjamin had a better time than he expected. LifeofDad.com is a fatherhood site that not only creates community for dads online but also makes us laugh out loud with its take on modern parenting. The videos created by site founder and stand-up comedian Tom Riles and filmmaker-educator David Guest are seriously funny and true, especially the popular Dad-Chelor Party. This month, Tom is doing a “30 Dads, 30 Days” tour of male parenting types for the month of Father’s Day. I’m one of those dads, so check out my interview and let me know your own thoughts as a dad by posting your comments here. In this Father’s Day edition of the FMR: Quick Picks, I lead off with a dad from Southern California, Jeremy Toback, who has a new CD with his musical partner, Renee Stahl. Renee & Jeremy harmonize beautifully on A Little Love as they perform acoustic versions of a lovingly selected collection of classic songs, ranging from pop chestnuts such as “Daydream Believer’ and “Put a Little Love in Your Heart” to alt-rock stand-outs like “Shiny Happy People” and “Give it Away.” Yes, this is one that grown-ups can listen to without the kids as well as use to give kids a lesson about great songs and wonderful interpretations. Last year’s featured review for June was a Recess Monkey offering. Here they are again with In Tents, proving that these Seattle singer-educators are both prolific and amazingly consistent in making fantastic music. Sixteen tracks juggle and fly through the air of a circus theme through songs such as the title track, “Odditorium,” “Carousel,” “The Dancin’ Bear,” and “Crystal Ball.” I really don’t know how these guys can be so clever in music and lyrics with a new CD every year, but I don’t care as long as my kids and me are having a great time. The Okee Dokee Brothers are a duo that have earned a non-stop litany of accolodes for their bluegrass music for kids. It is so very well deserved, but you can decide for yourself by listening to Can You Canoe: A Mississippi Adventure Album. The recording is the result of a month-long canoe trip taken by the “brothers,” Joe Mailander and Justin Lansing, who were inspired to write such songs as “Haul Away Joe,” “The Bullfrog Opera,” “King Kong Kitchie Kitchie Ki-Me-O,” and “Small and Simple” (featuring Elizabeth Mitchell). A few other treats worth mentioning for Father’s Day gifts are: Songs in the Shade of the Flamboyant Tree, a marvelous French-produced book-and-CD package of French Creole llullabies and Nursery Rhymes; the latest from Caspar Babypants, Hot Dog (filled with witty songs by one of my favorite kindie music makers); and Over the Moon: The Broadway Lullaby Project, a CD of songs by Broadway composers and performers made to benefit breast cancer research, support, and education. If you ask most children, watching Mom or Dad get down with their funky selves when inspired by really danceable music is either hysterically funny or frightfully embarrassing. Well, the kids will have to deal with it once you spin this spirited new album by the Sugar Free Allstars. In fact, the youngsters will probably teach us a few moves as they party with the mix of R&B, rock, and jazz (among other styles) on All on a Sunday Afternoon. Based in Oklahoma City, the duo of Chris “Boom” Wiser (on lead vocals, keyboards, saxes, etc.) and Rob “Dr. Rock” Martin (backing vocals and percussion) have infused their third family recording with enough brightness to light a street on a hot August night. Sparking much of the music is their love of Motown and Memphis soul as is evidenced by their “Gotta Get Up” track about starting the day, featuring Jack Forman of Recess Monkey and Shawana Kemp of Shine and the Moonbeams. “Sunday Afternoon,” includes help from Trout Fishing in America as it runs a bluesy thread through this ode to unstructured family time. A hard-driving beat (augmented by percussionist Marty Beller) and brass blasts propel “Put ‘Em Away,” which encourages kids to clean up after themselves. “Ready to Give Up Teddy” has a ‘70s groove going in this tune about moving on from a comforting stuffed animal. Inventiveness abounds on the album as the Sugar Free pair employs onomatopoeia on “Hiccup” to explain the science of a hiccup and raises the roof with gospel on “99 Questions” to teach the truth about the value of being inquisitive to learn anything in life. Even a cover of the Talking Heads’ “Stay Up Late” feels fresh with Chris Wiser’s fatherly phrasing. While I would never accuse these Allstars of being sugary, “Very Best Friend” is a mid-tempo song about being buddies that hits the heart. Whether it’s the heart or the feet that are affected by this recording, it is one that should be playing in your house or car this Father’s Day and beyond. Friend and fellow music lover Dave Sloan has taken all the guesswork out of creating a Dad’s Day playlist. Go to his blog, Let’s Not Get Carried Away, for some excellent choices, including Randy Newman’s “Memo to My Son” and De La Soul’s “Magic Number” (an all-time favorite of mine). As a parent and music lover, I have long been a fan of Cathy Fink and Marcy Marxer, the Grammy award-winning duo behind such albums as Pillow Full of Wishes and the recent EP Banjo to Beatbox. While these highly lauded ladies have long been leaders in innovating new music to help parents and educators connect with kids, they’ve outdone themselves with their newest project, Sing to Your Baby. Based on audience requests and scientific backing that explains how vital it is for babies to bond with the voice of their parents, this is a combination picture book and CD ($19.95 from the Web site) which offers songs that any parent or child guardian can croon. In fact, Fink and Marxer recorded each song in two different keys to make it easier for parents to find the most comfortable way to sing. For the male versions of the songs, Michael Stein, a cantor and original cast member of Jesus Christ Superstar shows the way for dads, grandpa’s, and uncles to sing such sweet tunes as “Love Is What I Feel For You,” “Rockin’ My Baby,” and “Baby’s Got a Giggle.” This is empowering stuff for parents and a powerfully emotional tool to connect with your baby. This generation of fathers is very different than previous generations. In fact, a whopping 80 percent of fathers today want to take a more active role in parenting than their own fathers did. In addition to being more involved, modern dads consider their families to be more of a priority than ever before. Studies show that three out of four fathers consider family to be the most important aspect of their lives and more than 70 percent of married men ages 21 to 39 report that they would be willing to give up a portion of their pay to be able to spend more time with their wives and children. Often, men find more impediments to being an involved father than they had expected. Sometimes new moms are ambivalent about handing over their newborns, even to their own husbands. Many moms feel such a strong bond with their babies that they have a hard time sharing that crucial bonding time — even with their husbands. Other mothers worry that the new fathers won’t know what to do or will accidentally hurt the baby. Despite all of these obstacles, most men today realize that there is no more significant moment in a man’s life than when he becomes a father. Frequently, the responsibility, shift in identity, and sheer power of the love involved is overwhelming. How do you make that shift? What can you do to be a better father? How can you help your child grow to be a healthy well-adjusted person? The greatest gift you can give as a father is to have a healthy loving relationship with your child. Because that relationship is their first relationship with a man, it becomes the template for his/her relationships with men for a long time to come. According to a report by the National Fatherhood Initiative, father love (measured by children’s perceptions of paternal acceptance/rejection and affection/indifference) was as important as mother love in predicting the social, emotional, and cognitive development and functioning of children and young adults. Having a loving and nurturing father was as important for a child’s happiness, well-being, and social and academic success as having a loving and nurturing mother. It has also been shown that children with involved, loving fathers are significantly more likely to perform well in school, have healthy self-esteem, exhibit empathy and pro-social tendencies, and avoid high-risk behaviors such as: drug use, truancy and criminal activity compared to children who have uninvolved fathers. Modeling a loving relationship with your spouse is another great way to be a super dad. The absence of familial hostility is the most consistent correlate of child adjustment, whereas marital conflict is the most consistently reliable correlate of child maladjustment. This is not to say every fight with your spouse is going to harm your child’s well being. Quite the contrary. Constructive marital disagreements may be a positive influence, teaching children valuable lessons about conflict expression and negotiation. The problem occurs when there is consistent anger, hostility, and discord in the home. If this is something you are experiencing in your own home, I implore you to explore marital therapy. If you cannot do it for yourself or your spouse, do it for the sake of your child. A better relationship between the parents can foster a better relationship with the child. Research shows that fathers in close, confiding marriages have more positive attitudes toward their three-month-old infants and toward their roles as parents than did fathers in less successful marriages. The same studies showed that mothers in close confiding marriages were warmer and more sensitive. Really listen to your child. It is easy to make assumptions or projections onto our kids or to zone out after a long day or to stop listening altogether. This is one of the most important skills you have in your arsenal. Feeling seen, heard, and understood by primary caregivers is one of the foundations of a child’s self esteem. In addition, sensitivity or the ability to evaluate a child’s signals or needs and respond appropriately is crucial to both involvement and closeness. Many of the studies dealing with paternal influences show that the closeness of the father-child relationship, which is itself a consequence of sufficiently extensive and sensitive interactions, is a crucial determinant of the father’s impact on child development and adjustment. In order for kids to feel a sense of safety and security, they need consistent rules and boundaries from their parents, especially their fathers. Too many parents today are overly concerned with being a friend to their child or being liked than they are about being good parents. Children do not need tall friends. They need a world where there are consequences to their actions and boundaries for their behaviors. They will always try to test you to see if you will bend. But deep down inside, children are comforted by parents who create a structured family life and maintain a consistent stance about discipline. There is no job that is more difficult than being a parent. The pressure to do the right thing and be a good role model is immense but the rewards are out of this world. Dr. Jenn is a licensed Marriage, Family and Child Therapist in private practice. She is the author of the bestselling books Superbaby: 12 Ways to Give Your Child a Head Start in the First 3 Years and The A to Z Guide to Raising Happy Confident Kids. She has been writing her monthly parenting column “Dr. Jenn” for over seven years. The column is printed in Los Angeles Family Magazine and five other parenting magazines every month. Her column the prestigious Parenting Publications of America award in Parenting and Child Development. She also writes a parenting column called “Insight” for a new national parenting magazine called PB&J. She has appeared as a psychological expert on hundreds of television shows including The Oprah Winfrey Show, The Today Show, The Tyra Banks Show, Showbiz Tonight, and FOX News. She has been heard on various radio stations and is currently hosting a series of two hour specials on Sirius-XM’s Cosmo channel. Dr. Jenn lives in Los Angeles with her husband and twin daughters. For more information on Dr. Jenn go to www.DoctorJenn.com.